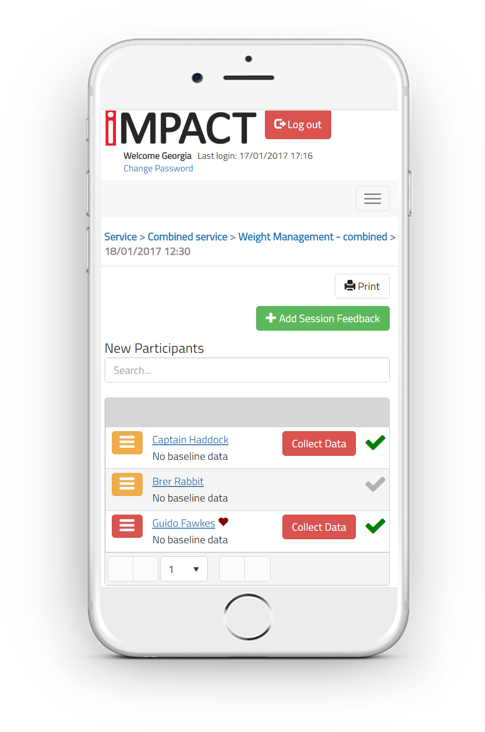 With Health (powered by IMPACT), operators can analyse performance of health and intervention programmes. The solutions' portal enables secure sharing of data between funders, referrers and participants. Health reduces operational administration and delivers accurate data analysis with granular reporting. 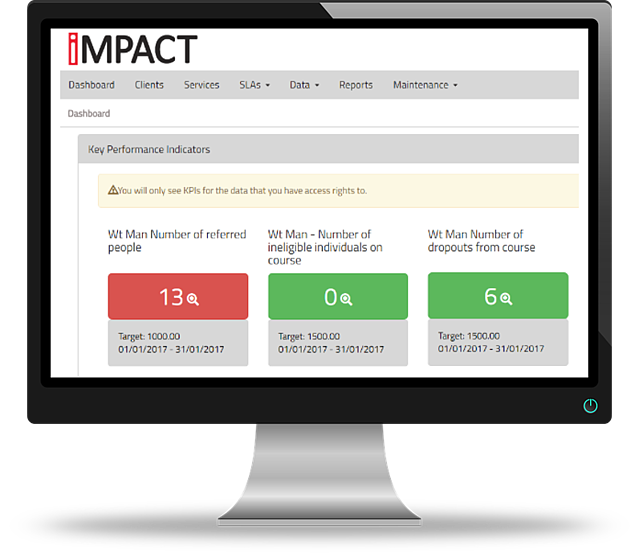 Monitor KPIs in real-time and improve participant retention. The UK based hosted platform offers peace of mind with security and data sensitivity. Our clients are reporting that they can handle 25% more participants as a result of the efficiencies of implementing iMPACT, without increasing overheads. Align your contractual deliverables with your expected course outcomes and monitor performance over time. 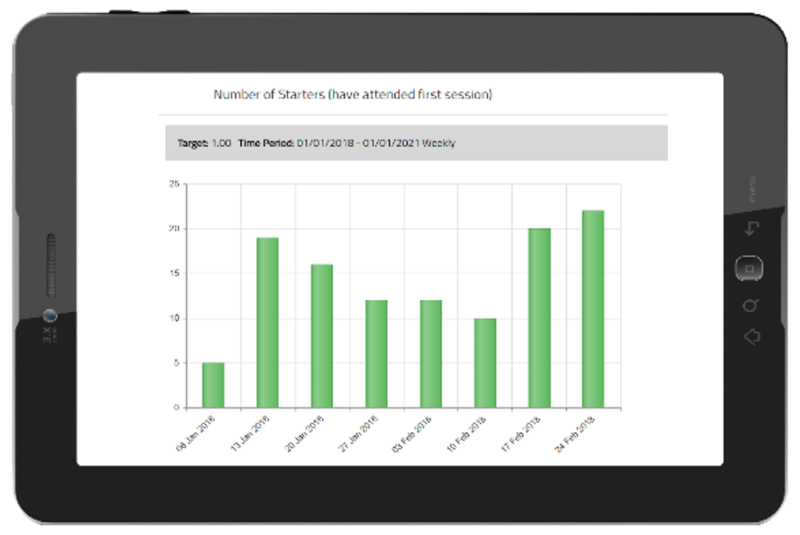 Model your own key performance indicators based on your business targets to track your core data, easily track items such as course completers or percentage of participants improvement, all displayed in a simple graphical dashboard. There are secure login portals for funders, referrers and participants. Integrated presentation tools enable design of informative and evidence-based data analysis to review personalised statistics and outcomes. Demonstrate to your funders just how much of a positive impact you are having on your participants’ lifestyles and promote your business. The unique feedback loop enables collection of case studies together with tagging to the relevant course and outcome(s). Record permission from the participant to share their story with your funders. Ease and speed of data capture is critical to the ability of a business to drive successful interventions. 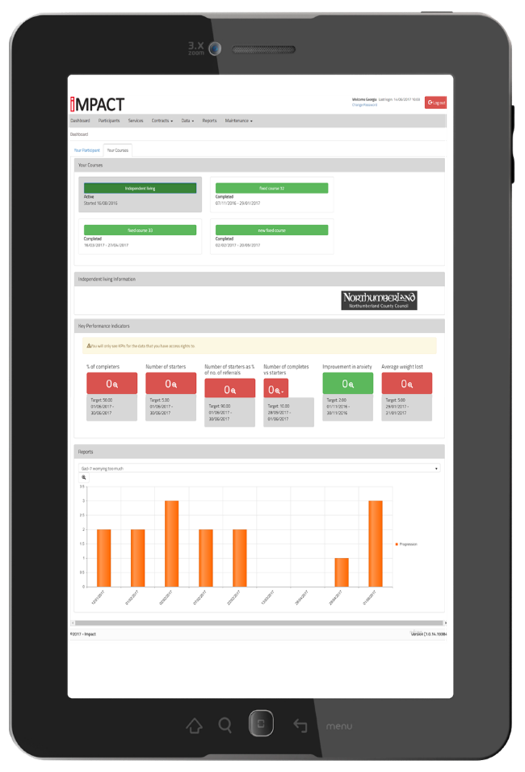 Provide mobile capability to staff to capture attendance and questionnaire data. Practitioners can also capture non-attendance and ineligibility reasons. With mobile responsive pages throughout Health ensures that your staff have information at their fingertips. Questionnaires, communication history, demographics are all available. “This solution adds rigour to our data collection process and gives us confidence in our ability to report back to commissioners." Ask our team for a tailored demonstration.